If you have yet to see the movie For Grace that’s on Netflix, we’ll do our best to avoid unnecessary spoilers. 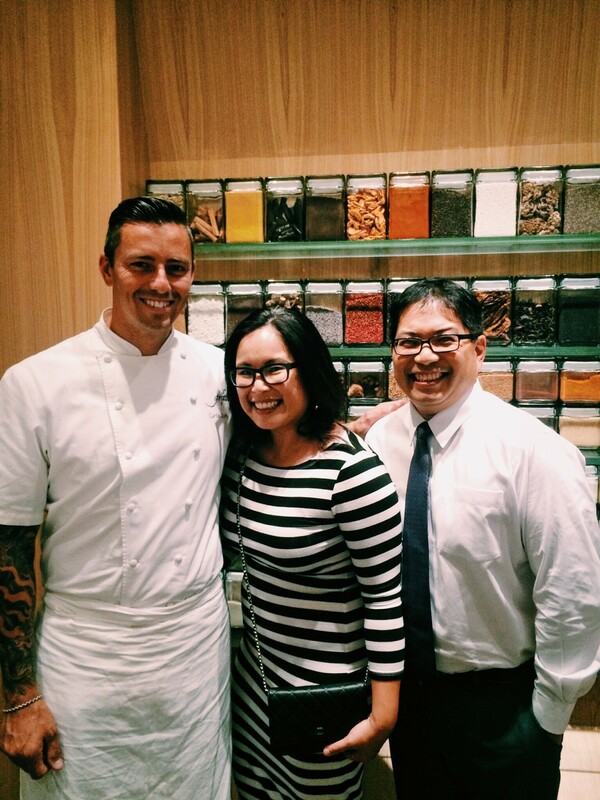 The documentary follows the culinary journey of Curtis Duffy (pictured above with Nomiya owner Wing Chan and her husband), the head chef and owner of Grace – the second restaurant in Chicago ever to be rated three stars by the Michelin Guide. Like most truly world class chefs, chef Duffy sought to step outside the long shadow of his mentors Charlie Trotter and Grant Achatz, the latter of which owns the only other three Michelin star restaurant in Chicago. His road to Grace was full of hardship as he pushed through setback after setback to open its doors late in 2012. As Chicago is known as a culinary destination the world over, chef Duffy forged his own path in a crowded field by balancing progressive dishes with fat, acid, herbal notes, and a textural component. 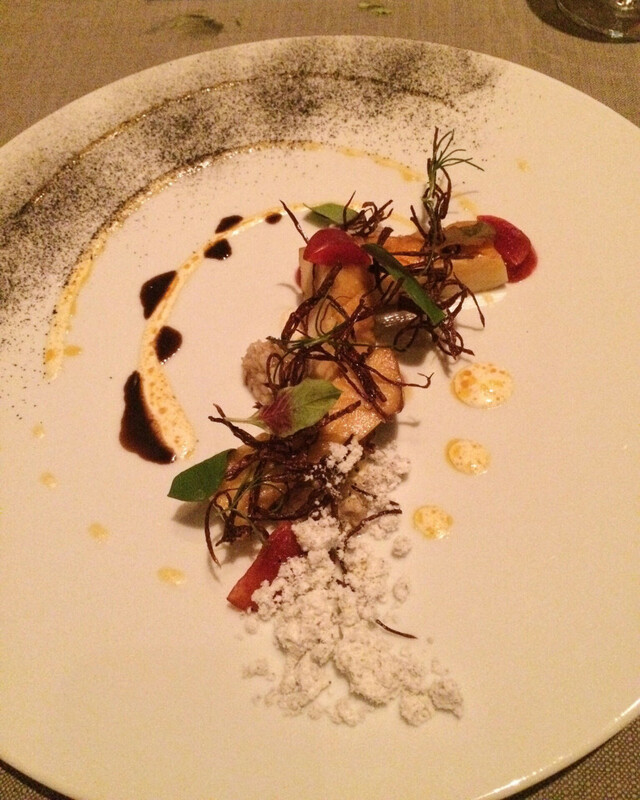 In order to learn about the intricacies of their tasting menus first-hand, Nomiya owner Wing Chan and her husband got the full Grace experience on their latest trip to Chicago! 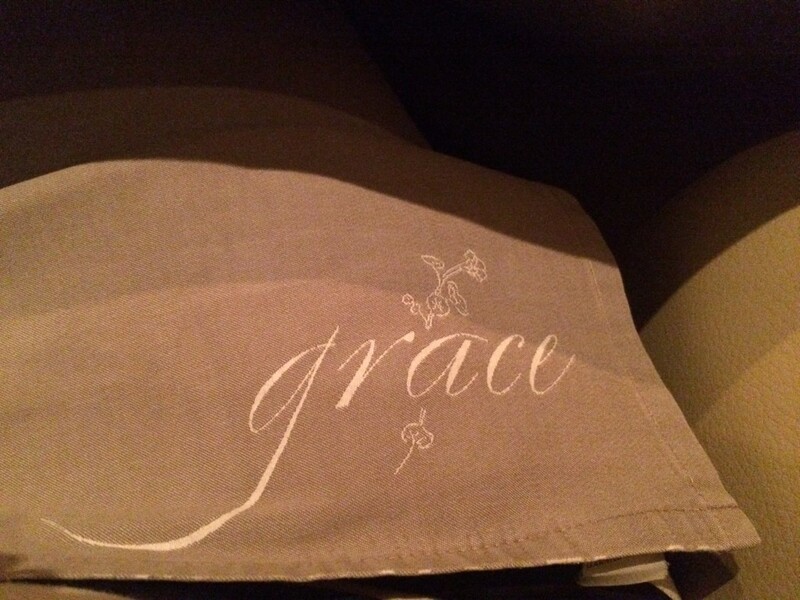 Grace has two tasting menus: Flora, which highlights vegetables, and Fauna, which focuses on seafood and protein. Naturally, both had to be tried. 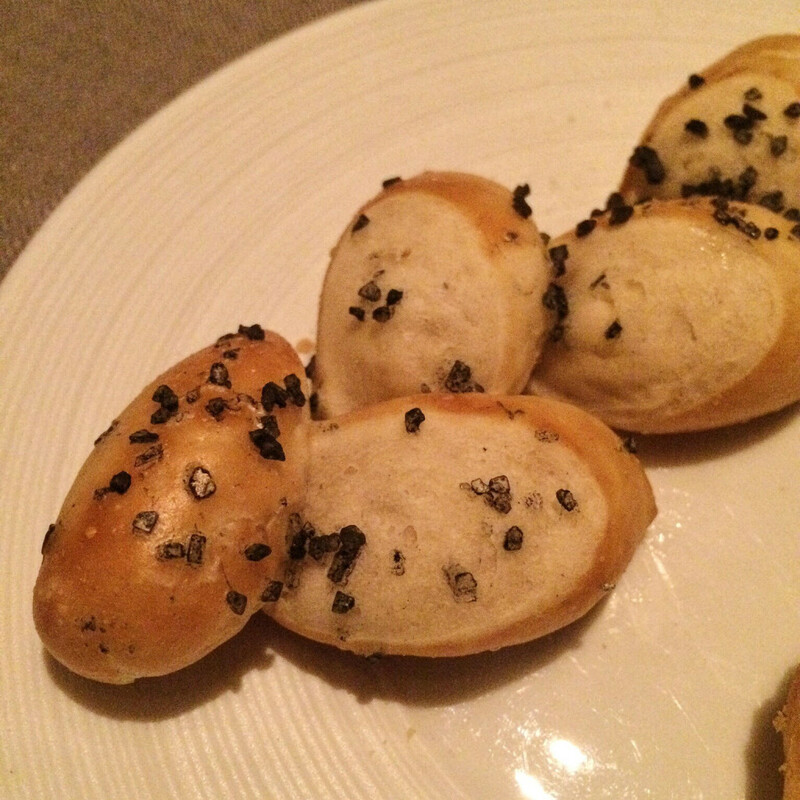 Each course had its own wine pairing, as well as individual bread and pretzels (picture below). 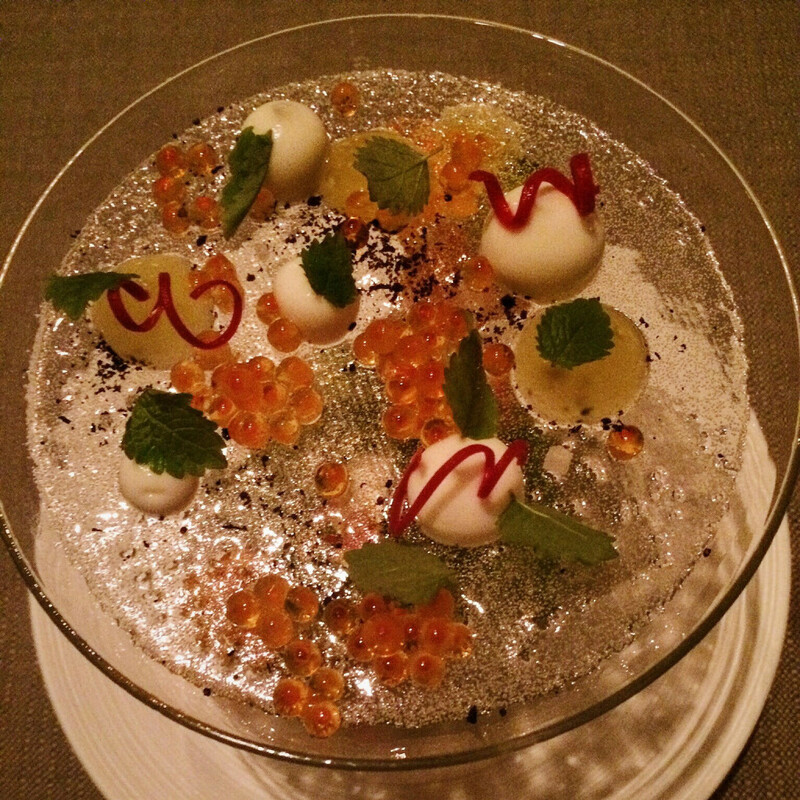 Check out some of the highlights from their extraordinary 18-course meal below! House made pretzels with Hawaiian black salt. 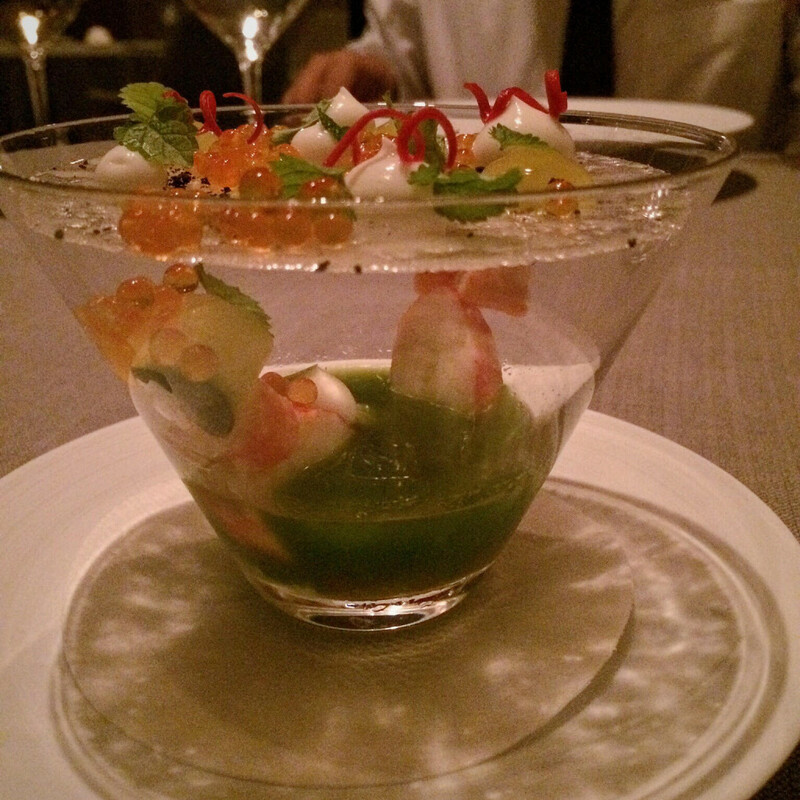 Snow crab in a cucumber pureé. 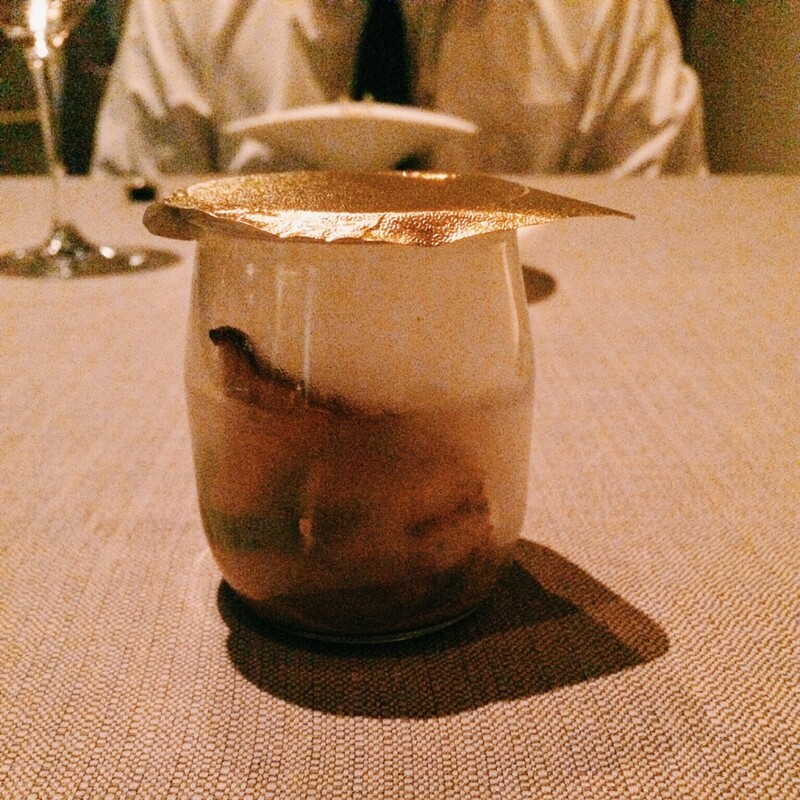 The top layer was sugar, intended to be broken through and eaten together with the pureé. 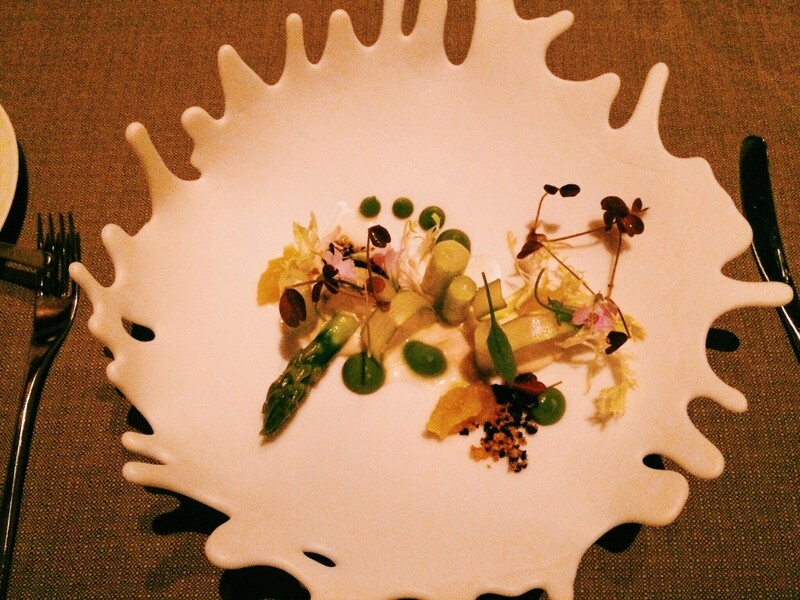 A beautifully deconstructed interpretation of a simple spear of asparagus! A foiled cup with rabbit loin infused with applewood smoke. Trumpet mushroom dish with oat, plum, and sea cress. 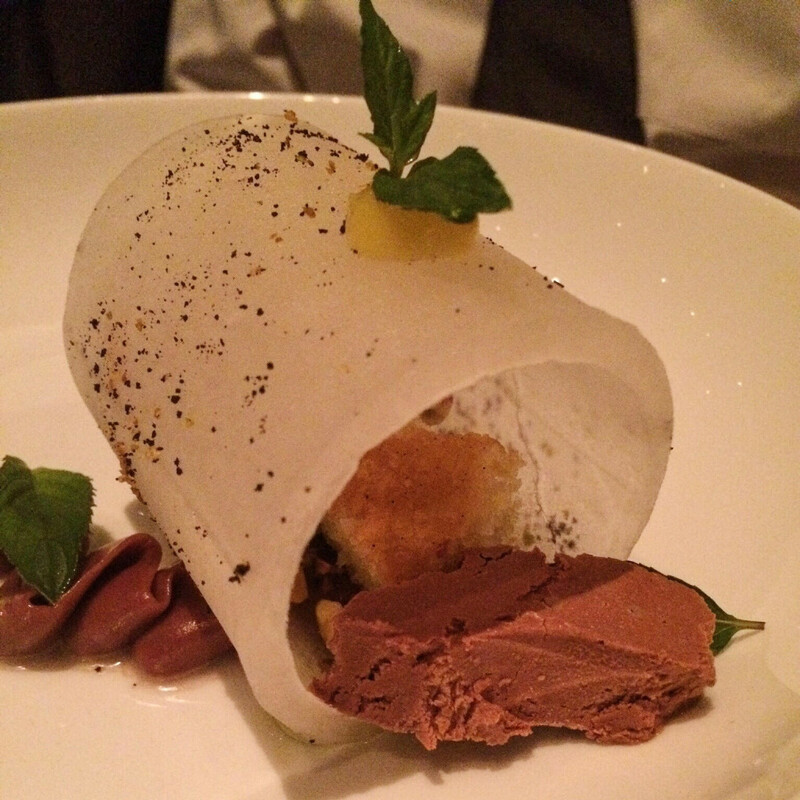 A frozen lemon simple syrup tunnel filled with mint, pistachio, and dark chocolate ice cream. 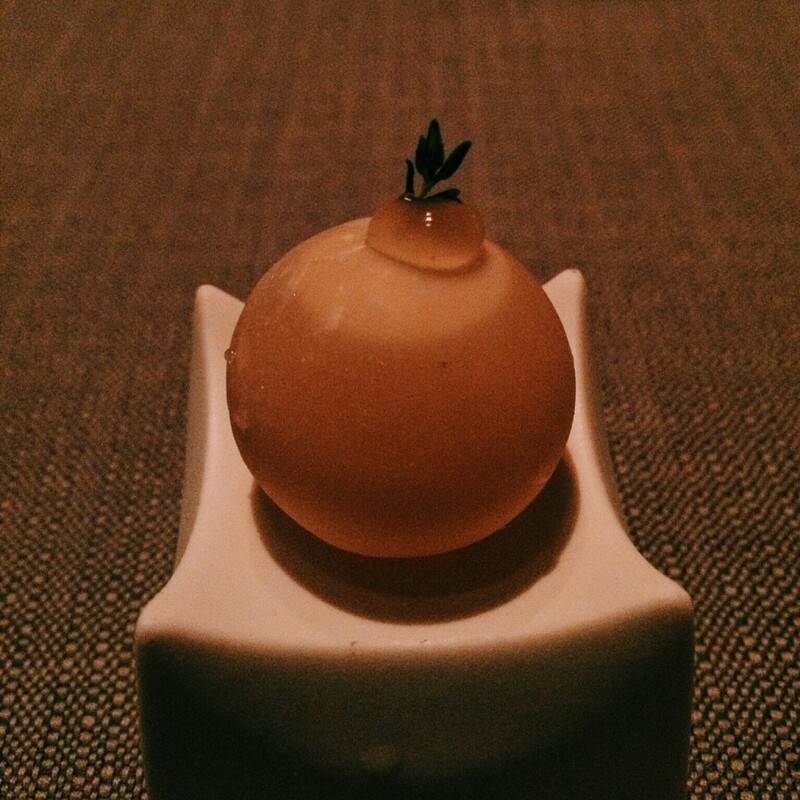 A sphere of cocoa butter containing delicious lemon tea inside. It took a while to work up the courage to break this beautiful presentation! 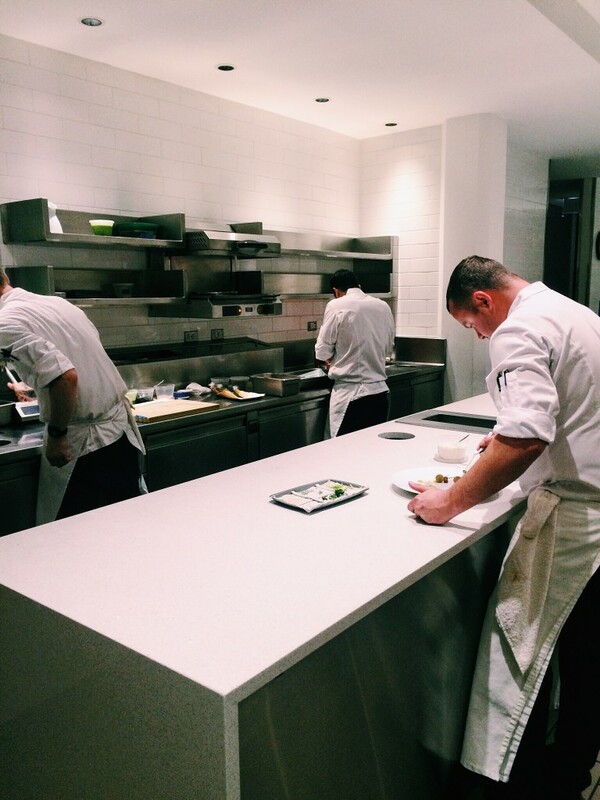 Chef Duffy and his entire team at Grace have climbed to the top of the culinary world with these impressively high standards, obsessive attention to detail, and a relentless work ethic. We hope to replicate this level of service in Nomiya and present a comfortable environment to try something new in. Stay tuned for more Nomiya travel journeys!